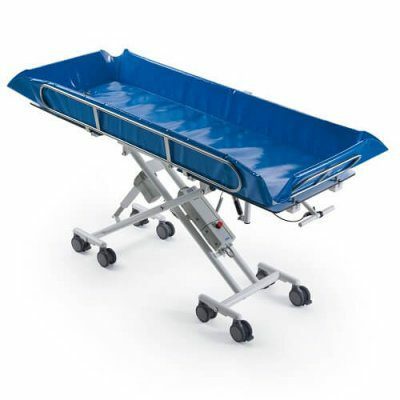 Astor-Bannerman are pleased to offer the latest development in bariatric care – The Multicare XXL bariatric height adjustable mobile shower and changing trolley. 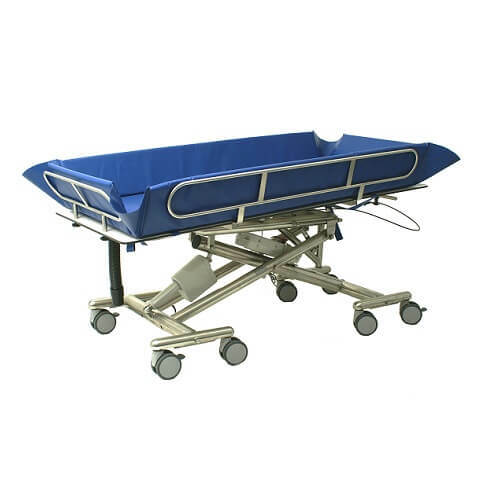 As with its Multicare and Multicare Plus counterparts, the Multicare XXL bariatric trolley is also made from stainless steel. Astor-Bannerman are pleased to offer the latest development in bariatric care – The Multicare XXL bariatric height adjustable mobile shower and changing trolley. 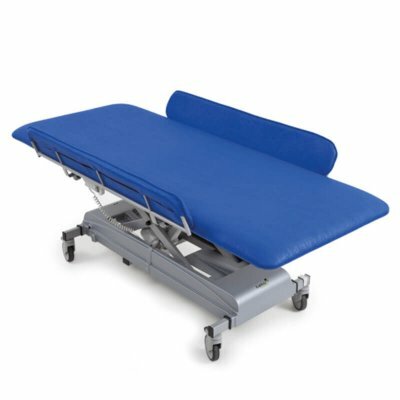 As with its Multicare and Multicare Plus counterparts, the Multicare XXL bariatric trolley is also made from stainless steel. 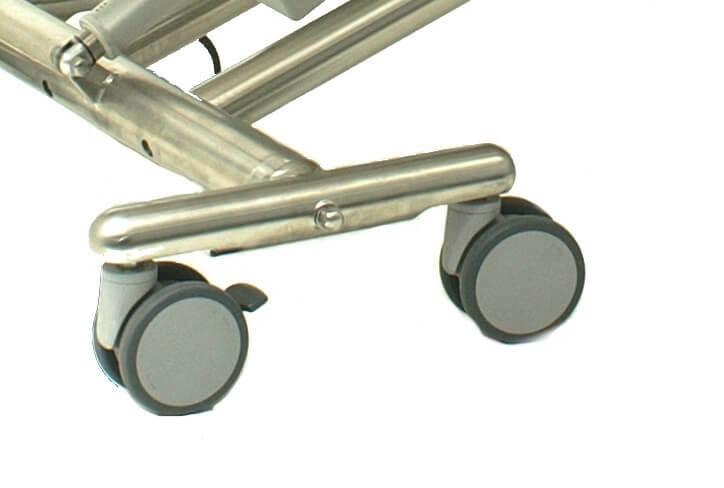 The eight dual locking castors provide a smooth transportation and unique tilt in space design gives the caregiver the ability to tailor the position of the base of the shower trolley to the clients’ individual needs. 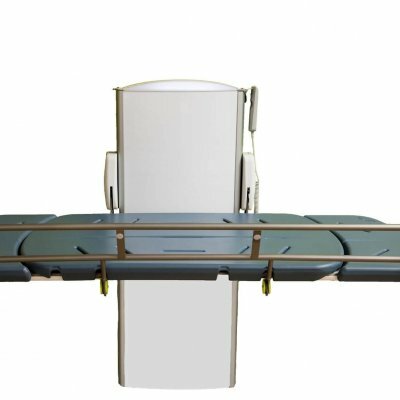 With Trendelenburg and reverse Trendelenburg positioning, which is controlled by a hand control, and extendable and removable foot rail, the Multicare XXL bariatric shower trolley quickly turns into an indispensable aid for daily bariatric treatment and care. 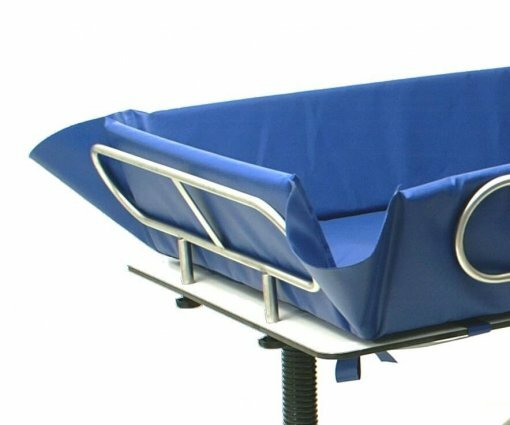 The Multicare XXL is adjusted in height by a has a safe working load of 250kg (39¼st) and maximum dimensions of 2040mm (L) x 990mm (W) and comes with extendable head rail, drain hole with flexible waste pipe, and disinfectable PVC shower mat which is easy to clean and suitable for multi user environments. All Multicare shower and changing trolleys come with a 3 year warranty* and are suitable for use in Changing Places toilet facilities.